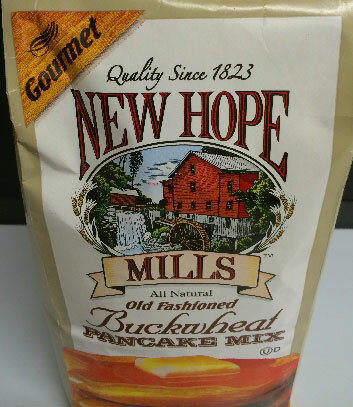 New Hope Mills Buckwheat Pancake Mix has milk already in the mix. Simply add water! To make waffles add water, egg, and oil.